Being a critic – actually, being a person – requires a lot of humility. You simply can’t know everything about the world and how it works (unless you’re Stephen Fry, that is). One of the reasons I go to the theatre is to have my worldview and knowledge expanded. We can only ever live in the present, not the past nor the future. That’s true of theatre, too: it only exists in the present moment of its creation and performance… But critics also (hopefully) have a wide frame of reference (theatrically speaking, as well as of the world), so we seek, too, to set a performance in context, and are therefore ever-mindful of the past and the experiences that led to the particular theatrical alchemy we’re bearing witness to now. Theatre, in other words, inevitably comes with baggage. And sometimes, of course, theatre gets personal: it talks about us and our lives directly. 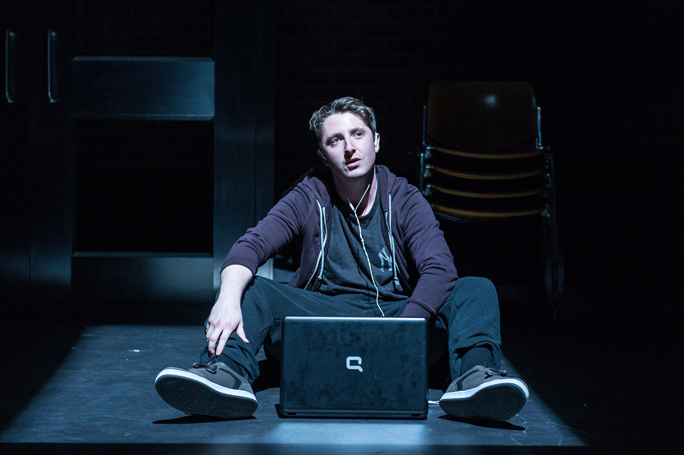 The National’s current production of Duncan Macmillan’s People, Places and Things is a play about dealing with addictions through group therapy and the 12-Step Programme. Though my issues are not the same ones as those dealt with in a play about drugs and alcohol, the fellowship I belong to has utterly changed my life, and I was able to relate to it on a very direct level. (Though the line that more than one critic mentioned with relish, about how saying ‘amen’ at the end of the serenity prayer that is spoken at every meeting is like pushing send on an e-mail, seemed phoney to me, as I’ve never heard anyone say ‘amen’ myself). But its also interesting when a show opens that is outside a critic’s personal comfort zone. For me, Michael Coveney’s review of Christopher Shinn’s Teddy Ferrara , that opened at the Donmar Warehouse last week, felt as though it had a barely suppressed strain of homophobia. It proves the play’s point about the difference between the rhetoric and the reality of acceptance, even as he was one of the few critics to actually praise it. The ironic point is that it’s still hard to be gay and happy even as society bends over backwards, so to speak, to accommodate diversity, difference and even promiscuous life-style with soft soap and David Cameron-style pieties about gay marriage and inclusiveness. The joke about bending over backwards is worthy of Bernard Manning or Freddie Starr; the value judgement about accommodating “even” promiscuous lifestyle is especially loaded. I went to Cambridge University in the 1980s, not the large unnamed contemporary American university shown here, and we didn’t have the sort of equality groups that are shown in the play meeting the university’s president and provost. I wasn’t exactly the only gay in the Cambridge village, but certainly at Corpus Christi I was one of only four men who were publicly out across the three years I was there. (I’m still in touch with two of the others, one of them virtually every day; our fourth member succumbed early to HIV.) Of course there were others, but they were deeply closeted, even homophobic – so the play resonated with my life in other ways, too. The last bit definitely marks its card for me, but I felt this was a play worth bending over backwards to see – and in the Hope’s crammed surroundings, you may just have to (I sat initially in the second row, but when someone sat in front of me I realised I would have to move as I wouldn’t have been able to see a thing). And yes, the play touches on promiscuous life styles, too; the boy immediately romanticises what has just happened, whereas for the older man it is just another fun pick-up.